says a road sign on the way in to the village. Straiton has a wonderful and varied network of waymarked paths. If you park by the play park and picnic area, just coming into the village, you will find an information board and copies of the Straiton Paths leaflet, with maps, illustrations, and descriptions of all the walks. 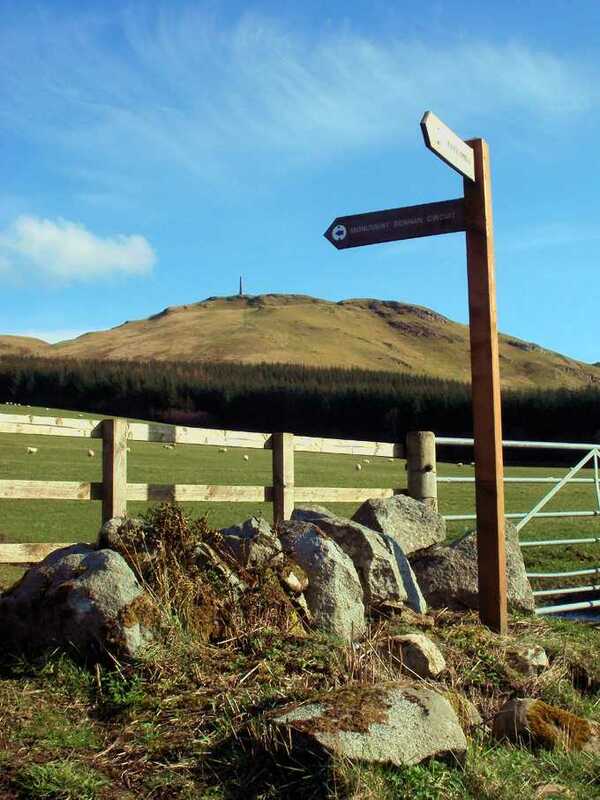 The Straiton paths are described on several websites: the Ayrshire Paths site, and the WalkHighlands website, to name but two. If you like waymarked paths, and you want to try more, you could try the paths around the village of Barr (and have a drink or a meal at the Kings Arms), or try the path network at Dailly. For the more experienced walker, there are many more delights further up the Girvan valley. 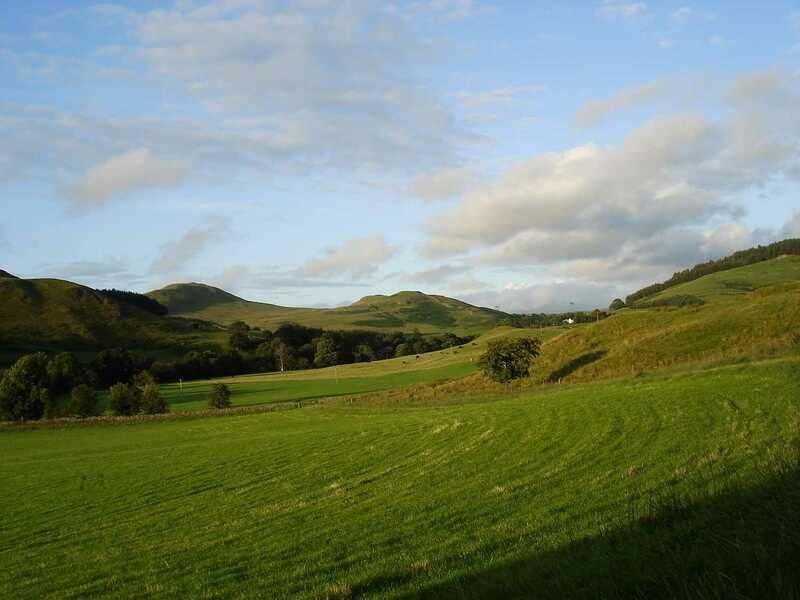 The foothills of the Galloway hills have a lovely rugged and varied topography just here: you’ll need a map, of course, and you will need to follow the outdoor access code, as many of the hills are grazed by sheep and cattle. If you don’t feel like a battle with a bull, just follow the roads, which are lovely in themselves. If you turn left just past Tairlaw bridge, you can get all the way up to Loch Bradan, or take a hike across the moors to Dalmellington. And further afield again? The possibilities are endless. You could start with the Cornish Hill walk, accessed from a Galloway Forest car park about 5 miles out of Straiton, and which takes you close to the source of the river Girvan. There are tracks which take you to view the mysterious Stinchar gorge, and beyond that, will take you to Barr. There is a fine circuit of Loch Bradan, long walks over the moors to Loch Doon, and there’s the long climb up Shalloch-on-Minnoch, (just past the Cornish Hill car park, on the Newton Stewart road, park in the first passing place after the forest ends and the moors begin). Or what about a short drive to Loch Doon, and a walk down the Ness Glen, returning by the route above the gorge: in this writer’s view, one of the most beautiful and dramatic walks in Scotland, deep in a mossy gorge right beside the rushing waters of the river Doon. Finally, a 40 minute drive takes you to Glentrool, from where you can climb Merrick, the highest mountain in the Southern Uplands. And for big walks in the Galloway Hills? The list below is taken from the award-winning WalkHighlands website: all include full mapping and GPS information, as well as photos and descriptions, and all are within easy reach of Straiton – Glentrool visitor centre is a 45 minute drive. 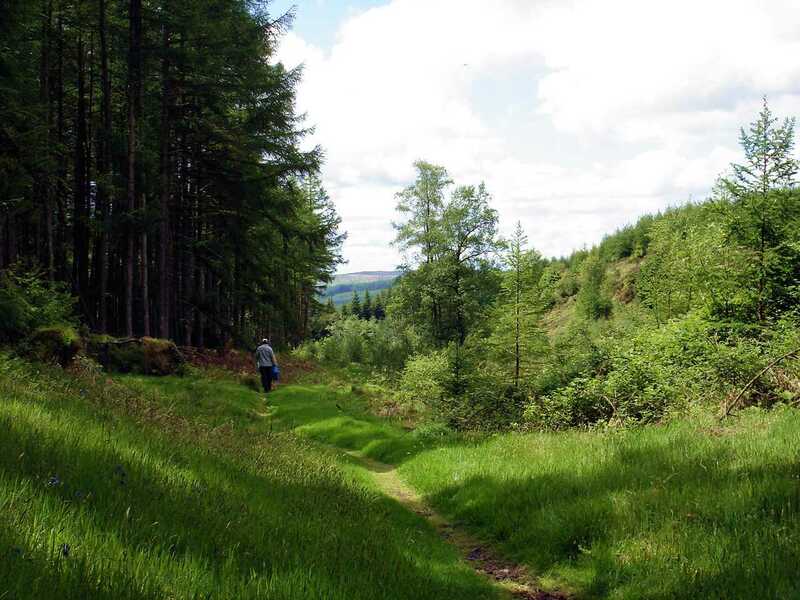 The website lists several other, gentler, Glentrool trails. For other Galloway Forest walks, try Paddy Dillon’s Walks in the Galloway Hills, published by Cicerone Guides. And don’t forget, the Black Bull is waiting to serve you a pint when you get back.